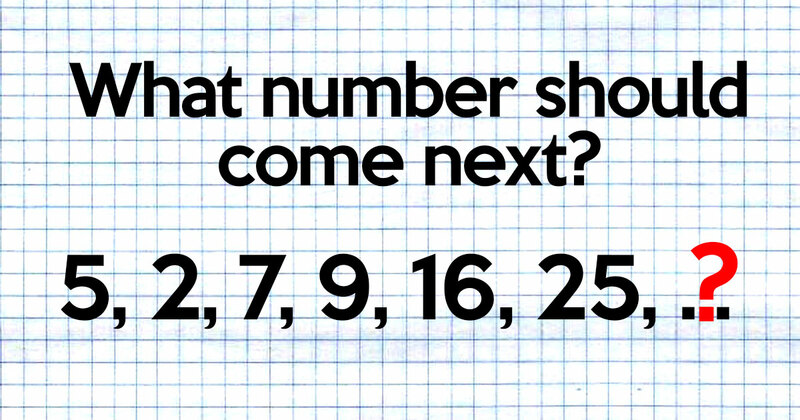 How many numbers are in this image? There are actually 10, if you look hard enough. The word "the" is printed twice. Oops. Look closely; lines cut off several of the boxes, preventing them from filling. Count the matchsticks in this picture. 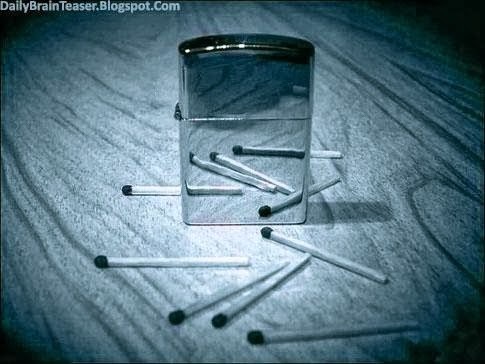 The lighter is metallic; don't count the matchsticks in the reflection. 16 + (8x2) + (4x2) + (1x2) + (1x2) = 40. The numbers in each row and column add up to 15. This one's a freebie. Can you find the soccer ball? I'm ready for the answer. No, seriously, show me the answer. Starting at the flags, go up two rows and slowly look over every figure towards the right side. Pretend that the flowers are just "x," "y," and "z," and this gets much easier. The first equation tells us that a red flower (x) is 20. 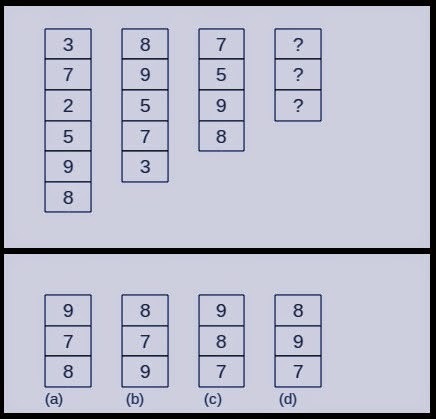 Solving the second one shows that a blue flower (y) is 5. Solving the third equation shows that yellow flowers (z) are worth 1 each. The final equation is x+y+z, which is 5+20+1; however, note that the blue flower only has four petals. Subtract one for the missing pedal, and you get 25. 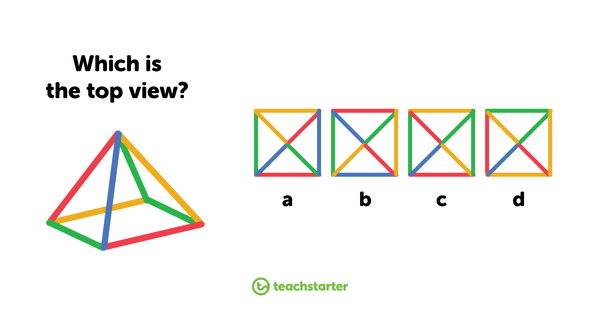 Again, you've got to count every single triangle—even when they overlap. How many squares are on a chess board? Again, you've got to count every square, including squares that encompass the other squares. 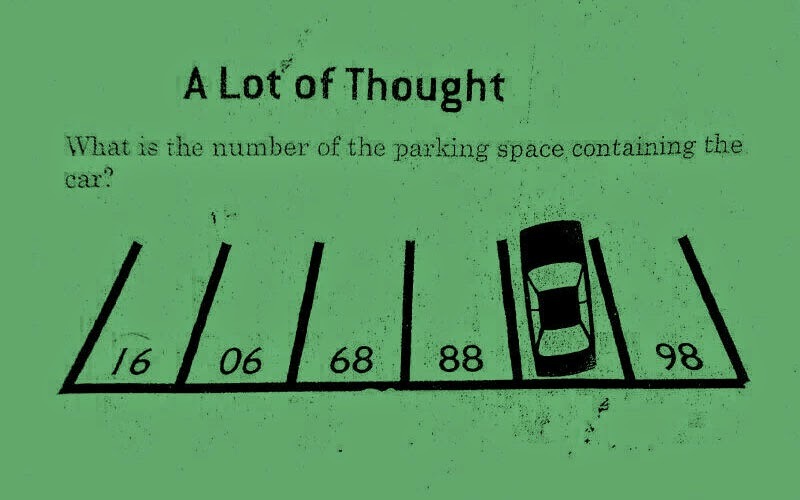 Invert the picture, and the answer is obvious. Look closely at the bear's bow tie. Which is the correct silhouette for the rooster? Hey, some of these are easy. 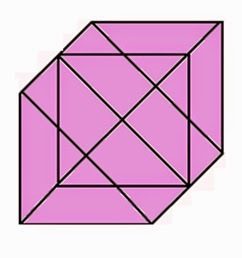 If you folded up this cube, which picture would it create? It's C, but it took us a while to figure that out. Which two of these cats are completely identical? Look closely at the collar, eyes, whiskers, tail, and thigh to spot the differences. What would the scale in the final picture read? The dog weighs 17 kilograms, while the cat weighs 7 kilograms and the rabbit weighs 3 kilograms. Add it all up, and you've got the answer. It's C. This one's not a trick, but it takes a while to figure out. By only touching one glass, you need to make the row alternate between empty and full glasses. What glass do you touch? The first glass from the left. The second glass from the left. The third glass from the left. One of the other glasses. Take the second glass from the left, then pour it into the empty glass second from the right. There are 40 squares. Remember, don't count rectangles. What option fits best with the missing column? 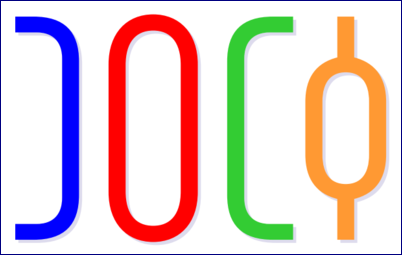 In each column, the order is reversed from the previous column while the lowest digit is omitted. Logically, option D works best. Reading diagonally, each sequence of numbers adds up to 25. Okay, this was a tough one. There's no trick, you just need to be careful. 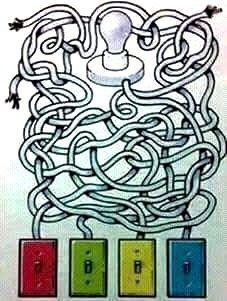 Which switch turns on the light? Yeah, it's frustrating, but trace them back, and it's clearly the yellow switch. 3*2 – 1 = 5, 5*2 – 2 = 8, 8*2 – 3 = 13, 13*2 – 4 = 22, so 22*2 – 5 = 39. Each number is the sum of the previous two numbers. 10 cows eat 10 bales of hay in 10 hours. How many hours does it take 20 cows to eat 20 bales of hay? Each cow takes 10 hours to eat its bale of hay. 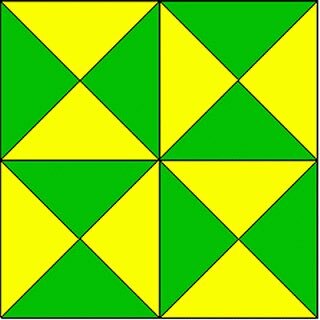 If you fold these pieces of paper, which one resembles the cube shown? 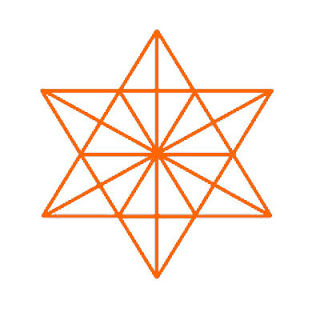 B and C don't fit, and D creates a mirrored image of the cube—not the original pattern. 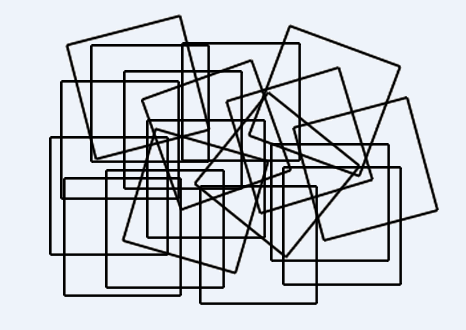 Each square exchanges the opposite squares of the previous square. 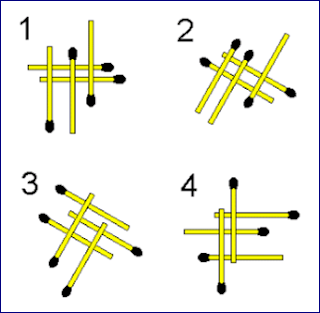 Which of these sets of matchsticks doesn't fit with the others? 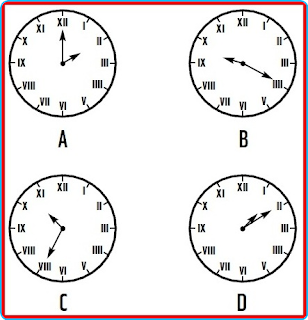 The third set doesn't form two full rectangles; all of the others do. What's the solution to this equation? 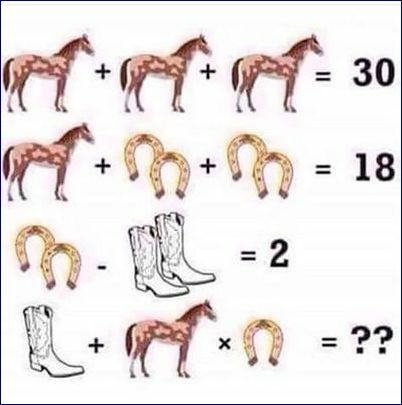 Solve the first equations, and you'll find that the horse is worth 10, the boot is worth 1, and the horseshoe is worth 2. What month is represented in this picture? Cut the image in half; the bottom half says "July." 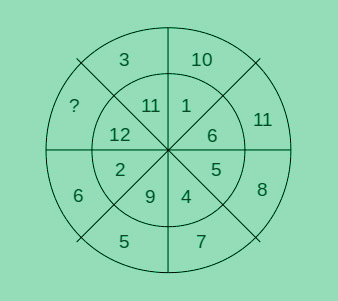 What letter should replace the question mark in the last circle? Give the letter in the center of each circle a numerical value (A=1, B=2, and so on). The letters in each circle advance according to that number. With that in mind, T is the right answer. 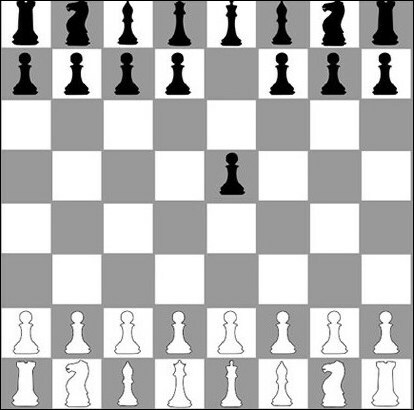 Could this arrangement of pieces occur in a real game of chess? White could have started the game by moving their knight up, then moving it back after Black moved their pawn. In each row, take the first number times the second number, then add it to the sum of the first number minus the second number. 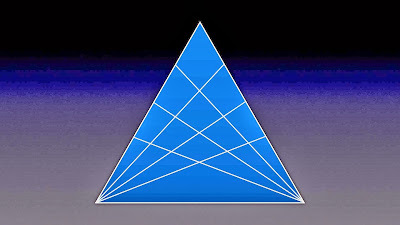 By this point, you're pretty good at counting triangles. "VIII" is where the "VII" should be. 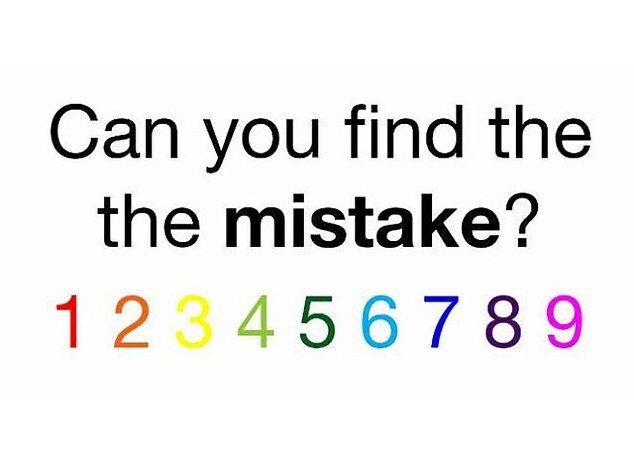 Your brain got a little teased. These were way more difficult than you expected. Still, you gave your brain a nice workout. That's certainly worth something. Feel free to try again. You got a few of these right. They're tough, right? You managed to get a few of the more difficult ones, but you whiffed on most of them. Give yourself a brain break, then try again. You're pretty hard to fool. You figured out most of these. 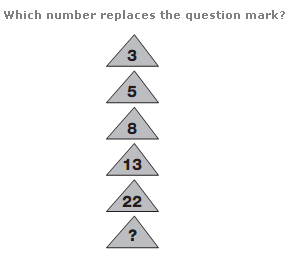 Some of them stumped you—but hey, you can only count so many triangles before you go insane. Feel free to bask in your achievement for a few minutes before you try again. Your brain is practically unteasable. Seriously, have you seen all of these before or something? You completely destroyed this quiz. 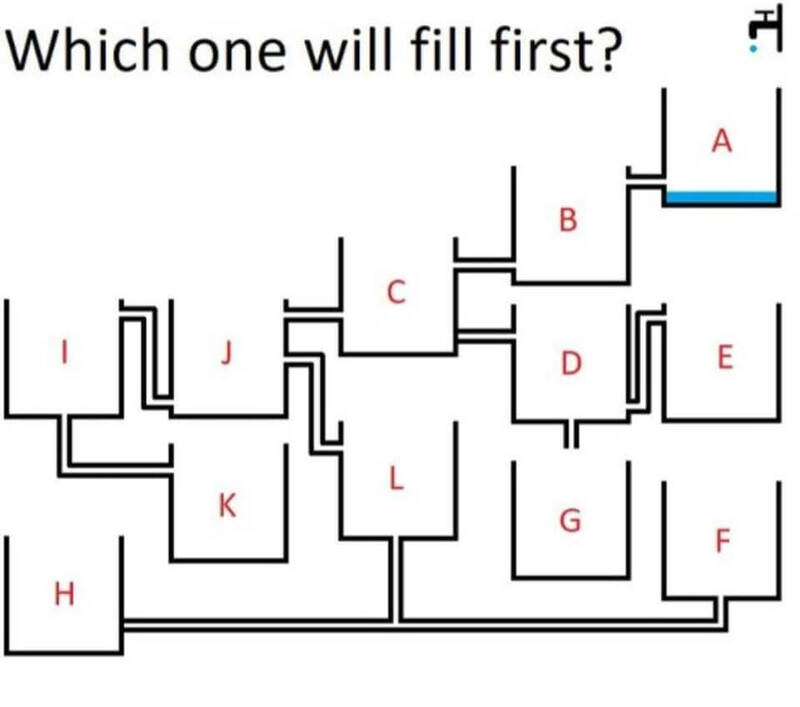 Most people don't get half of these right, so feel free to brag to your friends. Failure To Launch: Why Are More Millennials Than Ever Crashing At Home?